When you're searching for the perfect way to decorate your little one's bedroom it can be a little overwhelming. There is so much choice around! 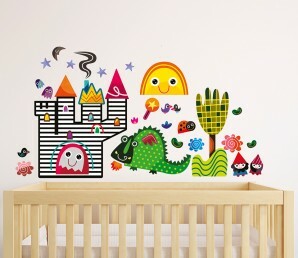 Wall stickers are a great choice though - super easy to apply, easy to remove and bright, colourful and age appropriate. 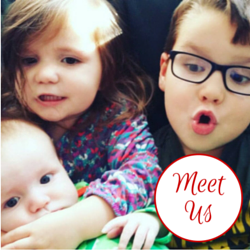 Witty Doodle was founded by two young mothers who wanted to inspire their babies with creative and stimulating wall art. Instead of soft pastels they have produced a bright, colourful range which are more attractive and interesting to babies and toddlers. Working with the expert Dr Amanda Gummer Witty Doodle have produced a visually stimulating range which sparks imagination and increases the attention span of the under twos. The stickers are designed to be repositioned from time to time to keep stimulating your child, with large images providing initial stimuli and smaller pictures to promote concentration and deeper thinking. With a range of nursery canvases and prints, in addition to the stickers there is something for every nursery here. The bright colourful design would make them perfect for playrooms too. I've teamed up with Witty Doodle to offer one of my lucky readers the chance to win a fantastic set of their nursery wall stickers. To enter the giveaway simply complete the Gleam widget below. The blog post comment is compulsory, please click through to the Witty Doodle website to have a look around before you answer, this will unlock a range of additional entry options to boost your chance of winning. Please read the terms and conditions.